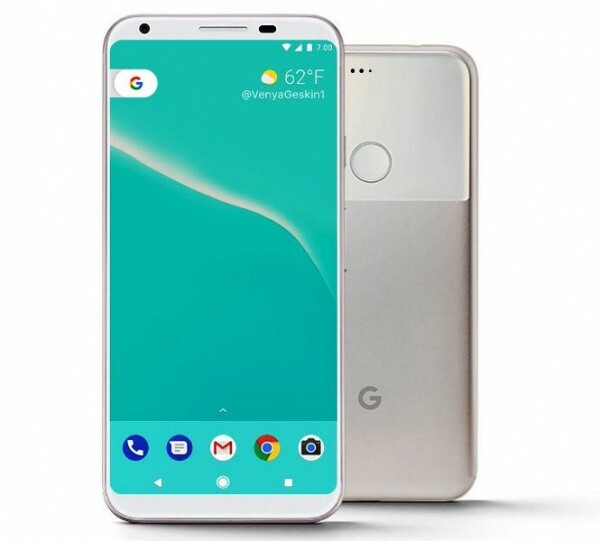 Google is refreshing its Pixel line with two models codenamed Walleye and Taimen, and the latest rumors suggested it will be the Pixel XL 2 that is geared for radical enhancements. It will have a 5.99-inch OLED display with the bezels pushed as close as possible to the edge. It will be made by LG, reports said. As indicated in earlier leaked details, the Pixel XL 2 is codenamed Taimen and with a display that measures close to 6-inch the device is practically the replacement to Nexus 7, the compact tablet that Google last updated in 2013. According to 9to5Google, Taimen "will feature smaller bezels in comparison to the current Pixel XL." The latest information came from XDA Developers, the report noted. And as if to highlight the fact that Taimen is more premium than Walleye or the regular Pixel, the former's supersized display will make use of OLED technology and render in 1440p screen resolution. In terms of design approach, the Pixel XL 2 will feature "slightly tweaked two-tone metal and glass rear." It was indicated in the same report that Google has been tapped for the Taimen handset project, which is in line with earlier leaked details. As for the Walleye or the regular Pixel 2, it appears the handset will be close to the regular iPhone in terms of size but the display will measure at 4.97-inch with 1080p screen resolution, according to Android Authority. Google is set to use the same design language employed last year, indicating the Pixel 2 is a near replica of the original model, the report added. It will be HTC that will be taking on this project, if the rumors will prove accurate. It is understood Walleye and Taimen will run on Snapdragon 835 chip clocking at 2.45GHz with up to 4GB of RAM support. And both handsets will stick to the single camera lens setup, indicating that Google intends to skip the dual camera setting for now. On release date, the Google Pixel 2 2017 upgrades will be the first to rock version 8.0 of Google's mobile OS, rumored to take the name Android Oatmeal Cookie when rolled out in October this year.